In a mobile-centric world, IT has a new challenge on its hands: ensuring that users can access and collaborate on content anytime, anywhere and on any device. Here are the top five challenges, and how to overcome them. 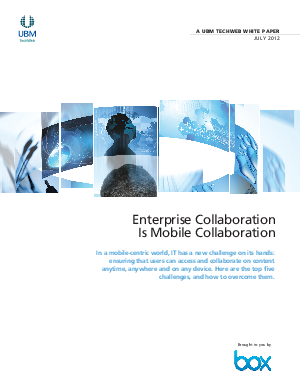 There's no getting around it: Read on to learn how the continuing success of an enterprise will depend on its ability to meet all the needs of a growing mobile workforce.